See more objects with the tag food preparation, kitchen, streamlined, dining, semi-circle, utility, reflective, sleek, mechanical, electronics. 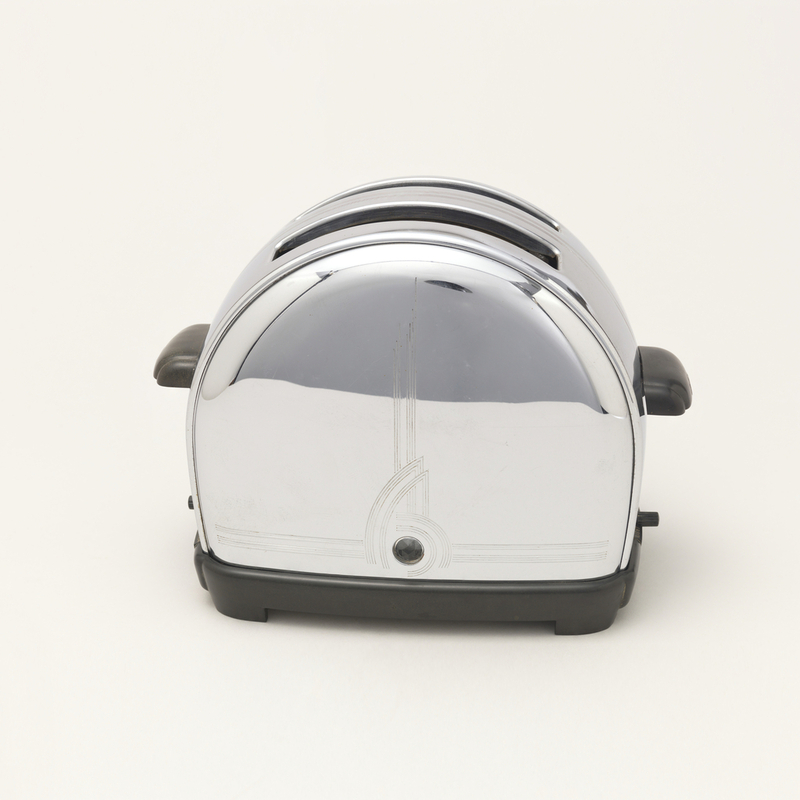 This is a Toaster. 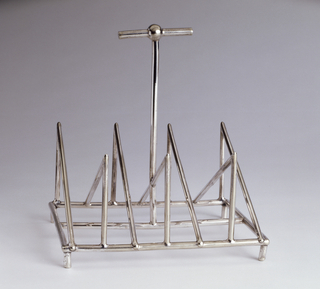 It is dated 1938–39 and we acquired it in 1993. Its medium is metal, molded plastic, electric components. It is a part of the Product Design and Decorative Arts department.